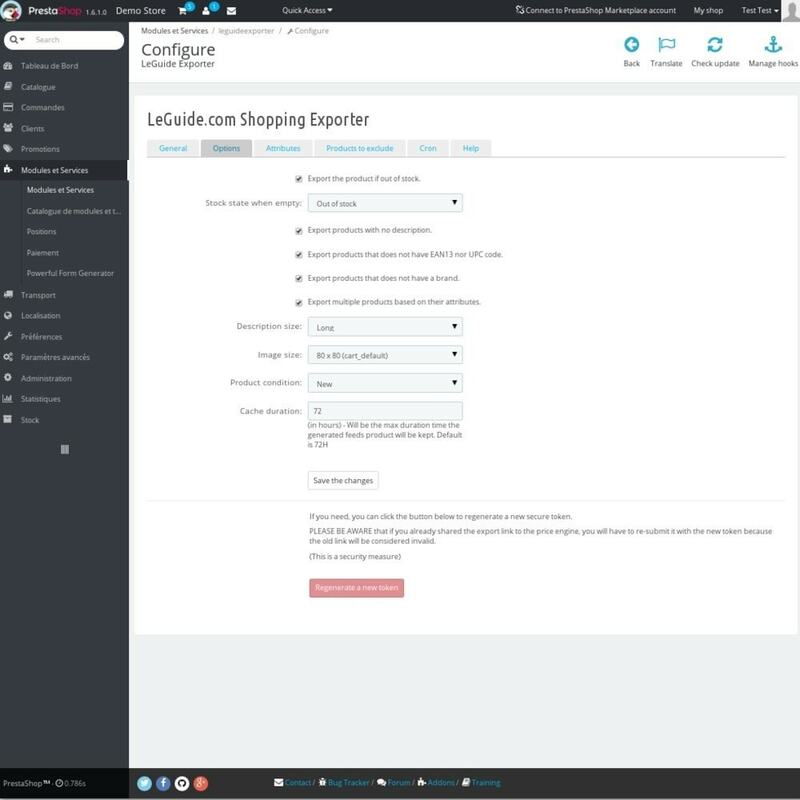 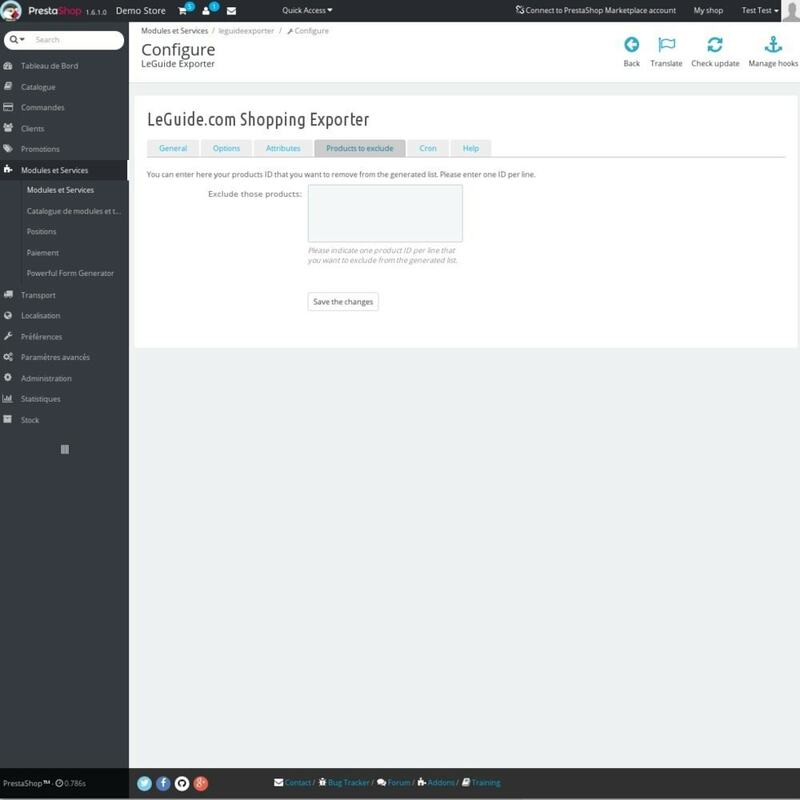 With LeGuide Exporter, you won't have to worry about exporting your products again. 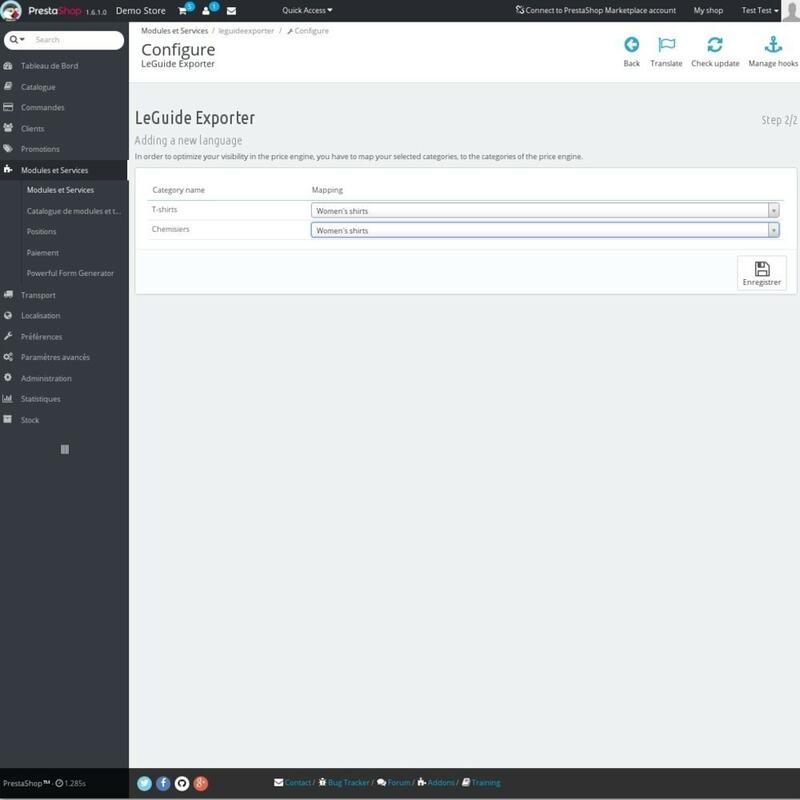 Once configured, this module will generate on a regular basis your product feed with the stock, the availability, the price updates and every informations related fo LeGuide comparison engine. International : You have titles and descriptions written in multiple languages ? 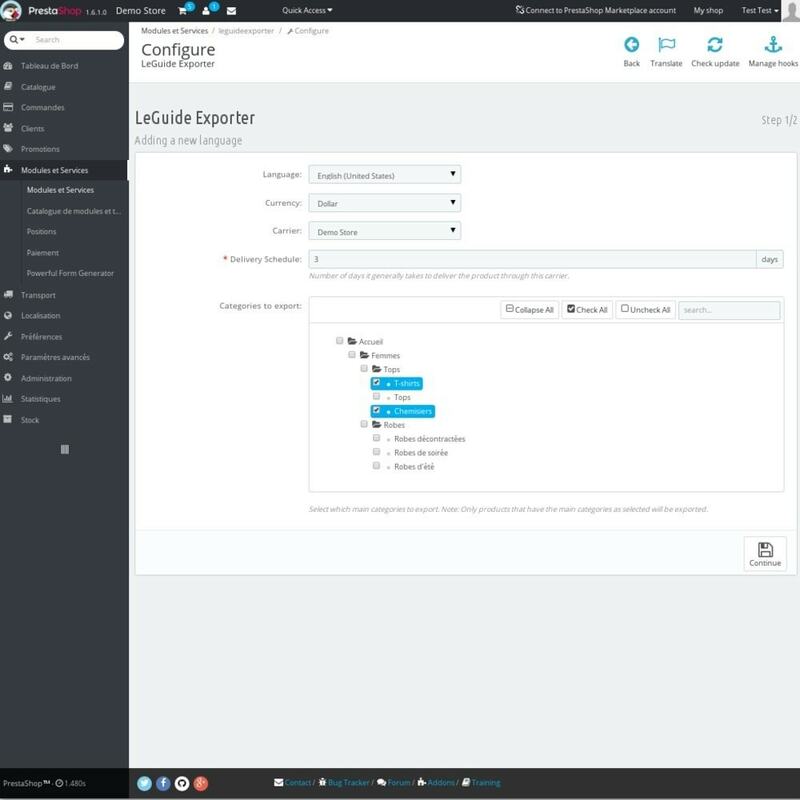 No worries, our module is multi-language aware !